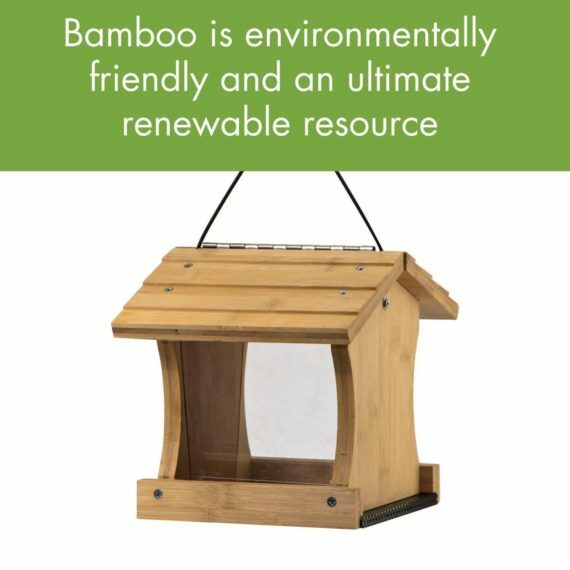 Offer bird seed with the natural benefits of bamboo. 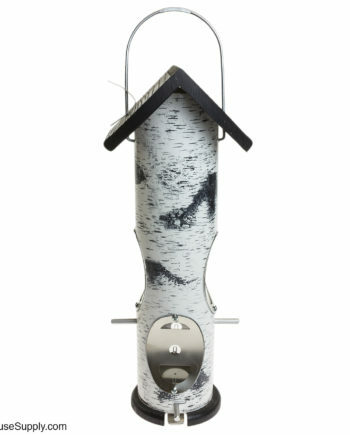 The Woodlink Ranch Bamboo Feeder offers all the benefits of bamboo including being resistant to squirrels, weather, and insects. The bamboo ranch feeder offers a hinged roof for easy access to refill and to clean. Designed to hang 5-6 feet off the ground for great views! This is multi-purpose feeder that will attract many variations of birds depending on your seed choice. Woodlink spent over 25 years building a reputation of excellence in the birding community. Learn more about why distinguished organizations like The National Audubon Society rely on Woodlink Birdhouses and feeders to keep North American birds safe and thriving. Woodlink was founded by James Link Nylen in 1988. The company originally operated out of a moderately-sized warehouse in Mount Ayr, Iowa, but would quickly outgrow that space. By 1996 growing to three locations operating in over 100,000 square feet of warehouse space in Mount Ayr and Winterset, Iowa. Just in time for their 15th anniversary, Woodlink moved into corporate offices in Iowa’s capital city of Des Moines. In 2002 the company signed an agreement with The National Audubon Society honoring their commitment to high-quality manufacturing. All birdhouses and bird feeders that are N.A.S- approved go through rigorous field testing to ensure they are perfectly sized, designed and sourced to help birds thrive. Still under family leadership, Dave Nylen took the helm as Woodlink’s CEO in 2005. During his first years as CEO, Mr. Nylen built a reputation for innovation and continued support of the birding community. In 2007, the company was honored by Hardware Retailers Choice as “Best of the Best” for their Happy Hour Hummingbird Feeders. 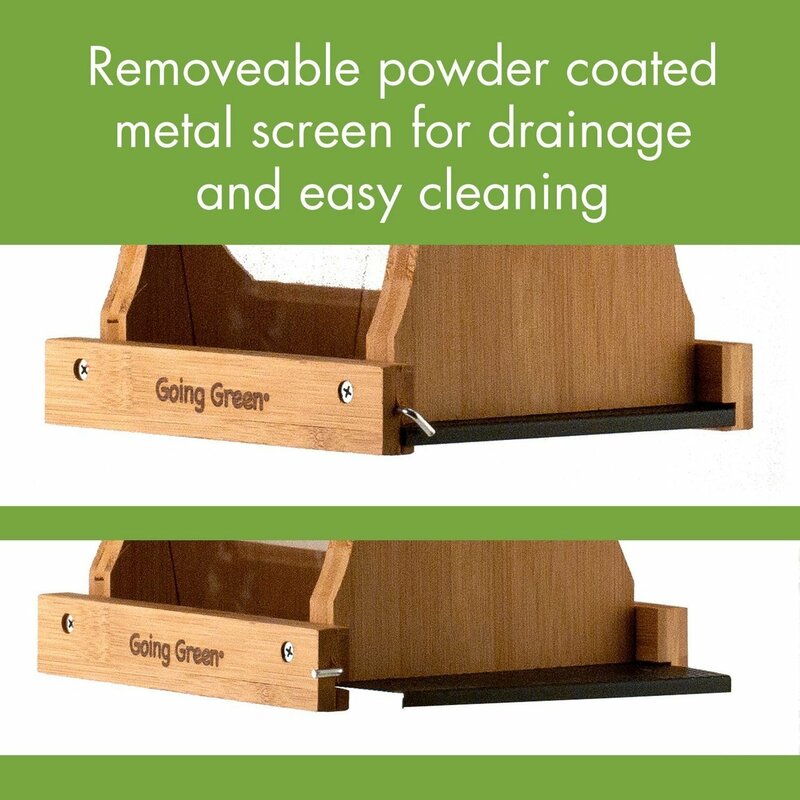 The award, which is given to companies demonstrating a commitment to innovation, solidified Woodlink’s position as one of the elite gardening product manufacturers in The United States. In 2008, the Going Green line of birdhouses and feeders was introduced. The USA-made line of 90% recycled plastic helped establish Woodlink’s commitment to ecological sustainability for birds and humans alike. A Going Green Bird Feeder uses as many as thirty milk jugs, meaning less plastic goes into landfills each year! 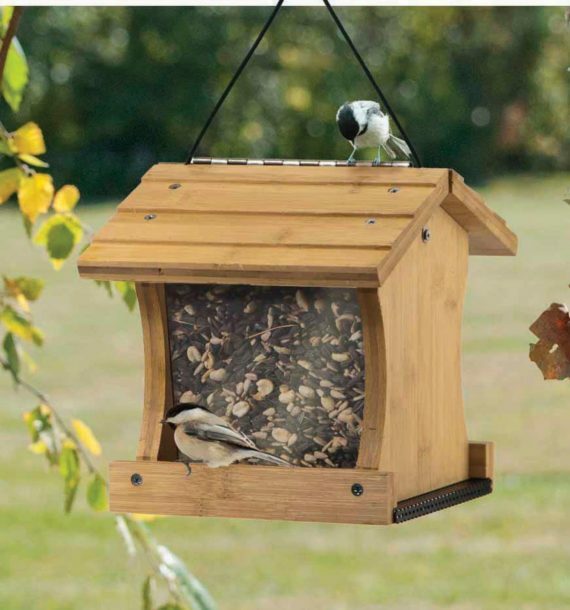 The nod to sustainability earned Woodlink a second Hardware Retailers Choice award for the National Audubon Society-endorsed Going Green Bird Feeders. Woodlink followed up years of award-winning innovation with a merger in 2011--joining forces with Kay Home Products. The merger allowed the company to expand their already popular product lines into a vast selection of hummingbird feeders, squirrel-resistant products and more. With two USA-manufactured product lines (Going Green Creations and traditional cedar products), access to Kay Home Products vast array of bird-friendly items and a continued commitment to helping birds and the people who help them, Woodlink is poised to continue on as the most trusted brand for backyard bird products for years to come.